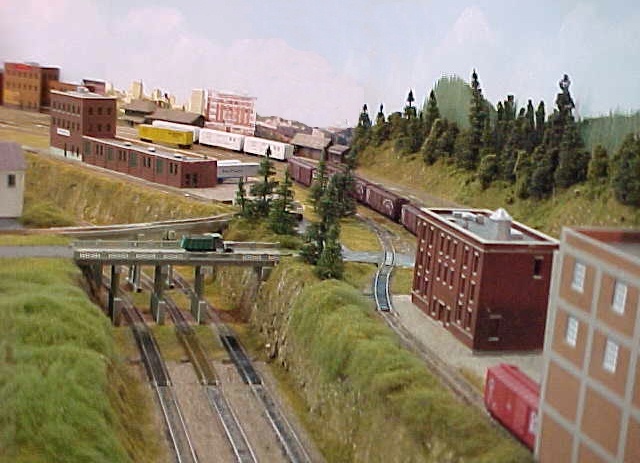 Winton's Inside Corner gives our layout a real sense of a city with a railroader's viewpoint. 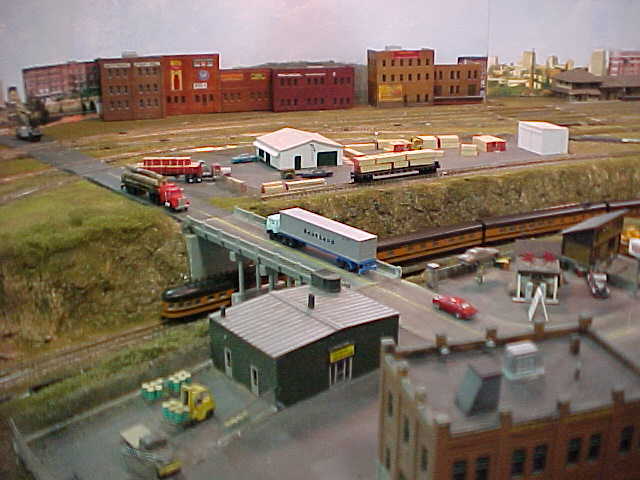 The yard and industries that surround it have that feel of a railroad town. The raised front industrial section provides a different appearance for the three tracks that pass thru the center of the modules. 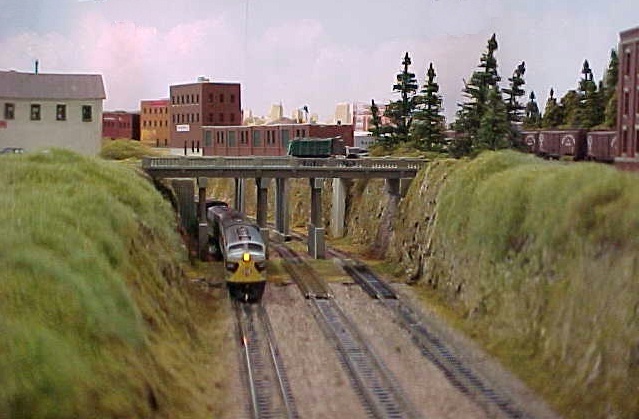 That disturbs the "at the end of the layout " look and gives the track a longer run effect as it seems to disappear for a short time in the cut. The large city on the backdrop are photos of Tacoma, Wa. 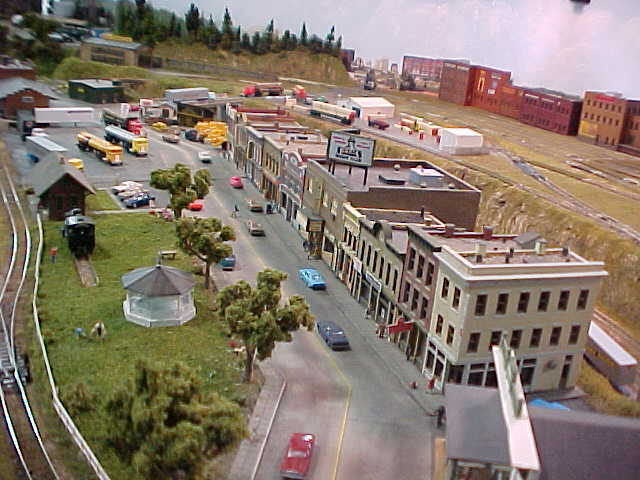 Sharing the outer portion of the corners is this merchant's row type area with a park complete with a gabzebo and train display. At Christmas Diane decorates the park for the Holidays. This six foot corner module also has it own loop which runs separately from the Ntrak controls. It's called the "Lionel Loop". There's lots of action and switching here for the mountain line operator.